Thousands are weighing anchor and fleeing with their gin palaces to quiet corners of the Mediterranean to escape a tax evasion crackdown – part of efforts by the government of Mario Monti, the prime minister, to tackle Italy’s €1.9 trillion public debt. …in the ports and marinas they are going after the owners of luxury yachts. Uniformed officers of the Guardia di Finanza, or tax police, are performing on-the-spot checks, boarding boats and checking owners’ details against their tax records. 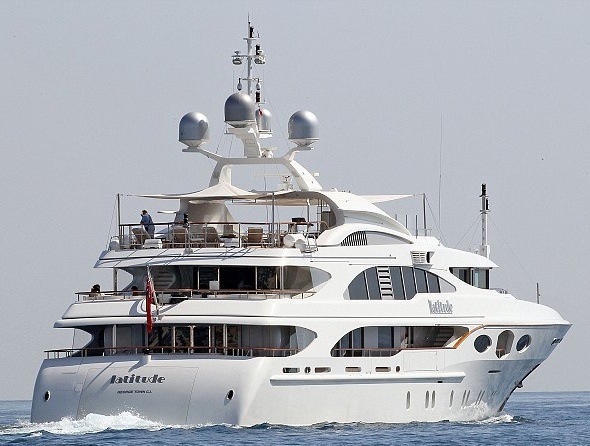 …The unwelcome attention has led many yacht owners to flee Italy’s marinas for friendlier foreign ports, from Corsica and the Cote d’Azur in the west to Croatia, Slovenia, Montenegro and Greece in the east. Others are heading southwards, to Malta and Tunisia – where they can access their boats on low-cost budget flights from Italy for a fraction of the tax bill they might otherwise face. Sort of makes you wonder why politicians never seem to learn from their mistakes – especially when thoughtful people like me give them free lessons about the relationship between tax rates, tax revenue, and taxable income. Democrats are saying that they’ll let all the Bush tax cuts expire at the end of the year – thus screwing all taxpayers – unless Republicans agree to Obama’s class-warfare proposals to soak the rich. I’ve already dealt with the first threat, pointing out that the defense budget still grows by 17 percent over the next 10 years with a sequester, so there’s no need to surrender to a tax hike (especially since the Pentagon accounts for 45 percent of global military spending). As such, let’s deal with the second threat, which is actually a repeat of the fight we had back in 2010. Back then, Republicans said that extending the 2001 and 2003 tax cuts was an all-or-nothing proposition, while Democrats issued their own ultimatum and said that the rich should be hit with higher tax rates. Republicans won that fight, even though they were heavily outnumbered in both the House and Senate. So why, given that they control the House and have many more seats in the Senate, isn’t this year’s fight an easy win for the GOP? Beats me, but the Democrats are playing hardball, perhaps because they think a fight over class warfare is a good way of distracting voters from the weak economy. One of the Senate’s top Democrats, Patty Murray of Washington, has thrown down the gauntlet and stated that her colleagues are willing to push all taxpayers off the fiscal cliff. Here’s some of what the Wall Street Journal opined about her remarks. 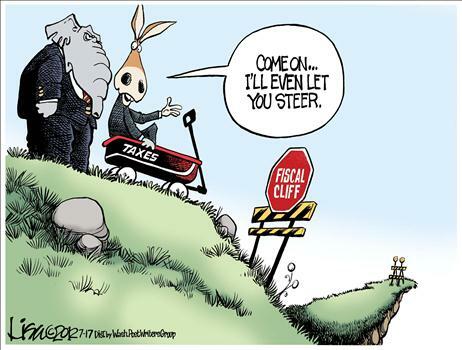 Democrats must feel really good about their election chances, because their latest campaign strategy is to say how willing and eager they are to leap off the January tax cliff. They’re all but daring Republicans to make the Democrats’ day by refusing to raise taxes before the election. …In a speech at the Brookings Institution, she declared that if Republicans won’t raise taxes on income above $250,000 before November, Democrats will gladly let all of the Bush tax rates expire at the end of the year—even on the middle class, and no matter the economic consequences. The editors at the WSJ are mystified as to why Democrats are willing to undermine an already weak economy with an election just a few months away. The Murray Democrats are the ones holding the middle-class rates hostage to a GOP vote to raise taxes on the affluent. …Mrs. Murray may think she’s putting Republicans on the political spot, but her real hostage is the already weak economy. Growth in the first quarter was a mere 1.9%, and economists have steadily downgraded their expectations for the second. As the tax cliff approaches, the policy uncertainty is already causing businesses to hold off on hiring and investment. Even the Keynesians at the Congressional Budget Office say that if all of the Bush tax rates expire, growth will fall close to recession territory. Since the Democrats aren’t coming to me for advice, I’m not sure about their motives. Are they so wedded to class-warfare tax policy that they’re willing to sacrifice other goals in hopes of penalizing success? Or are they playing a clever political game, figuring that a GOP surrender on taxes will generate so much discord on the right that it will more than offset any electoral downside of a weaker economy? I suspect the answer to both questions is “yes,” but mostly to the second question. Which is why this Lisa Benson cartoon is an appropriate way to conclude this post. P.S. You can find more Lisa Benson cartoons here, here, here, here, here, here, here, and here. P.P.S. If you somehow think that higher taxes are necessary because it’s impossible to otherwise balance the budget, I hope you’ll change your mind when you learn we can balance the budget in just 10 years if politicians merely limit spending increases to 2 percent annually.